While it’s true that technology has made life a lot easier for business, it also means that you’re exposed to a new set of risks that businesses in the past didn’t have to contend with. As experts in cyber liability insurance, we’ve seen first-hand the impact the cyber-crime can have on businesses. Today, we’ll be looking at some of the most common forms of cyber-crime that your business could potentially face. Phishing is a form of cyber-crime which involves criminals attempting to trick individuals or companies into providing confidential information. For businesses, this means that criminals attempt to access your network using fake emails or websites. Small businesses, in particular, can easily fall victim to a phishing scam by clicking on a legitimate-looking email or entering information in an online form. These criminals often target a huge range of victims in the hope that someone will take the bait. Malware or ransomware is one of the most common forms of cyber-crime faced by businesses and it involves criminals deliberately attempting to infect computing systems to cause damage. This can be in the form of viruses, Trojan horse software and spyware. If successful, malware can have a serious impact on your business. In the case of ransomware, your ability to access your computing system is restricted until you pay money to the criminals. Hacking is when a criminal access your business computing system without your permission. In some cases, computer savvy individuals simply hack into corporate computing systems to prove they can do it and don’t do any actual harm. In other cases, the intent is more malicious and the purpose is to cause serious damage. Data breaches are often the form of cyber-crime that businesses worry about given the devastating impact it can have when sensitive information is released. Data breaches can occur when criminals find weaknesses in a business computing network and are able to extract information. In many cases, the intent of the criminals is to make money from the stolen data. The many different cyber risks your business is exposed to highlights the importance of taking cyber-crime seriously. Taking steps such as having a clear policy around cybersecurity, putting firewalls and other security measures in place, and educating employees can all go a long way to protecting your business. In the event that that cyber-attack does occur, it’s essential to have cyber insurance in place. 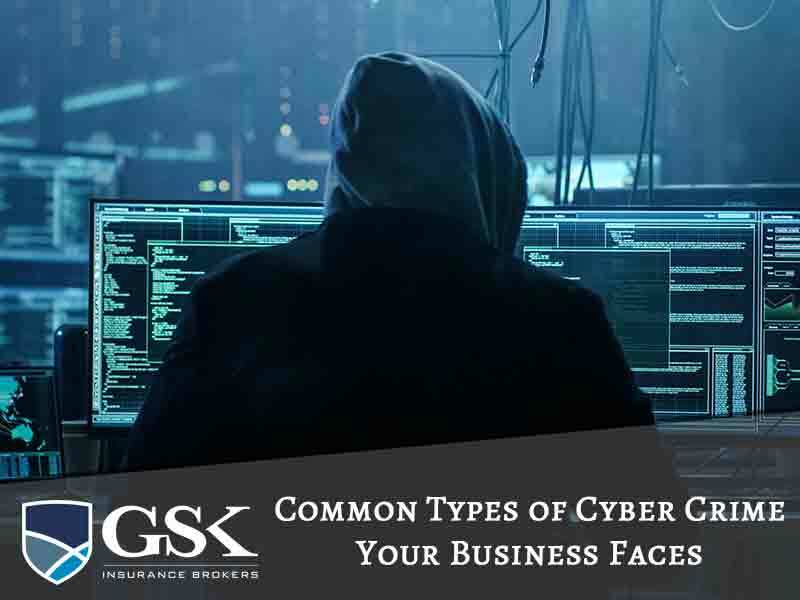 Here at GSK Insurance Brokers, we offer cyber insurance which can protect your business against a number of different scenarios. Your broker will get to know your business to assess all relevant areas of risk so you can be confident that you have the right level of cover. With our decades of combined experience, we know how to provide the right customised solution for your business. For cyber liability insurance Australia, speak with GSK Insurance Brokers today on (08) 9478 1933.